Enter the draw to win 1 of 4 Winter Safety Kits. The draw will be held on 30 November 2016. Watch the video. Hi there smart drivers, Rick with Smart Drive Test kicking off the playlist "winter driving smart." Yes, unfortunately, winter is right around the corner and you can see up behind me the beautiful fall colours. As well, there's been reports of snow in the high mountain passes and out on the Prairie. 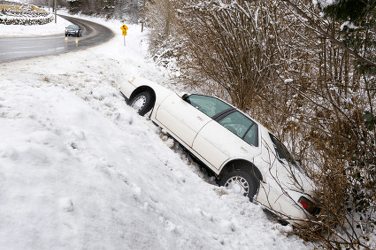 So you need to start thinking about winter - you need to start prepping your vehicle. So in preparation for kicking off the playlist winter driving smart, we have both reviews and giveaways today. We have these four winter safety kits that you can stock your car with. If you want to find the links for those, you can find those down below. As well, if you want to enter into the draw you can head over to my website, sign up for the email, get yourself your winter driving checklist, and enter the draw for one of these four winter safety kits. We'll be right back with that information. Stick around! Hi there smart drivers, welcome back. Rick with Smart Drive Test giving you reviews of these winter safety kits. Yes, despite the fact that I'm standing here in my shirt in the beautiful autumn sunshine, winter is right around the corner. We need to start thinking about snow tires and stocking our cars for winter emergencies, especially if you're driving outside of urban centers. So you can find lots of great information here on the playlist - winter driving smart. And that will give you information that you need to prepare yourself for winter driving. So we're going to go over reviews of these four products today. Two of them are premium winter safety kits: one is from Canadian Tire here in canada, the other one is Treksafe and it's available on Amazon - you can find the links down below - if you click on the links to purchase those... yes I get a bit of money back and that helps me out as well. The triple-A--the American Automobile Association--I have their winter safety kit and the one from Michelin, which is available at Walmart. Again you can also find that link down below in the description box. So what we're going to do today, is we're going to open it up, we're going to look at the contents inside each one of the kits and we're going to see whether we can get the contents back into the kit. Because we all know how that is when you purchase something from the store and you take the content out. You and a mad scientist couldn't get those contents back into the kit. And if you use it in your vehicle, one of the things you want to do is be able to get it back in the kit. Because you don't want all this stuff rolling around in your car. So we're gonna see if we cana get it back in the kit as well. And I'll give you a rating on each one of the winter safety kits - five being great; 1 being not so great, and you probably don't want to purchase it. Let's head over there, let's take one of the kids apart and see what's inside. So the first kit we're going to look at - we're going to look at the Treksafe automotive kit - it's a premium winter safety kit. And on the box here it claims that it has booster cables, and 12' foot tow strap. And for those of us who are a bit older we used to tow out with chains and whatnot. Tow straps actually have a bit of flexibility in them, so they're actually much better and prevent damage to your vehicle in the event of being towed out. As well, it claims it has an aluminum shovel, super grip gloves for shoveling out your vehicle. It has a warm winter blanket and two traction mats. So that's what it claims it has inside the kit here. And we'll just put the box over there. And as well, you can see that it is a nice bright orange carrying kit with the logo on it, and on the reverse side it has a reflective triangle so in the event you could sit that out potentially, on the road and other vehicles can see you if you're out there at night. And it's a good sturdy handle on it. I do like the rectangular shape of the case because it makes packing inside your vehicle much easier. And you might actually be able to get it down into one of the storage compartments and those types of things if you have an SUV (Sport Untility Vehicle). So you can open up here and on the top we have two traction mats, which are somewhat small and I'm not sure how well you would get those under the tires of your vehicle when you're actually stuck. So that's the one compartment on the kit - what else we got here? And then it folds out here and we can see inside these compartments - in here we have our gloves, and yes these are a large size because I have a large hand - nice firm grip on there. And those would do you in a pinch, but I don't think those would keep your hands very warm in sub-zero temperatures, as myself I need to wear mittens. There are booster cables on here and obviously these booster cables are not very heavy. These are lightweight booster cable, but they would do you in a pinch if you had dead batteries. And what is the length on these booster cables? It does have instructions here on how to hook up the booster cables, but I don't think that... we'll just take them apart and figure out how long the booster cables are, because i think you would have to....oh, they're pretty good. So the reach on the booster cables is actually more than six feet. So these would be seven feet on the booster cables. So we have the mats, the gloves, the tow cable here and this would work well for hooking onto a trailer hitch as well. So one end has this on it [SHOWS A LOOP] so the other end you can loop it around and snake it up through there. And this is pretty good, so what is this? 6', 12', probably 14 feet. What does it say on the box here in terms of how long that is? 12' foot tow straps - so it's a 12' foot tow strap to get you out in a pinch. So we've got that. I think we have our blanket... here in the event of an emergency. And it looks like a Polartec type blanket that would keep you warm in kind of an emergency situation. So that we have the blanket, and then the shovel is in three or four pieces here. And that is a pretty sturdy shovel. That would get you out - that would allow you to dig a fair bit of snow. So it is a good sturdy shovel. It is a good sturdy shovel. And for those who win the kit, I apologize, I didn't really dent it too much, but I did want to figure out how strong that is. So my first reaction on this kit - this kit is not really a survival kit - this is a kit to get you out of an emergency. So for example, if you wanted to be towed out or you wanted to dig yourself out of an emergency, this is the kit that you want. It has a shovel, it has a tow strap, it has traction mats. So all of this would help you to get out in an emergency situation if you got stuck. So if you were stuck for a period of time, this is not the kit you want. So I got everything back into the kit and the kit is not bulky, it's not distorted, or out of shape. But it took me four and a half minutes...just a little less than five minutes to get everything back into the kit. The only thing in the kit that gave me a bit of grief, in terms of getting it back in, was the booster cables - getting them folded up and getting them back into the small sack inside of the kit, but for the most part everything went back in well. And again, as I said this is not a kit that will allow you to wait out time in the event of an emergency. This is a kit that if you want to get your vehicle out of the ditch with a tow strap, or you need to boost a dead battery, or you need to shovel it out with traction mats and those types of things - this is the kit you want for that purpose. 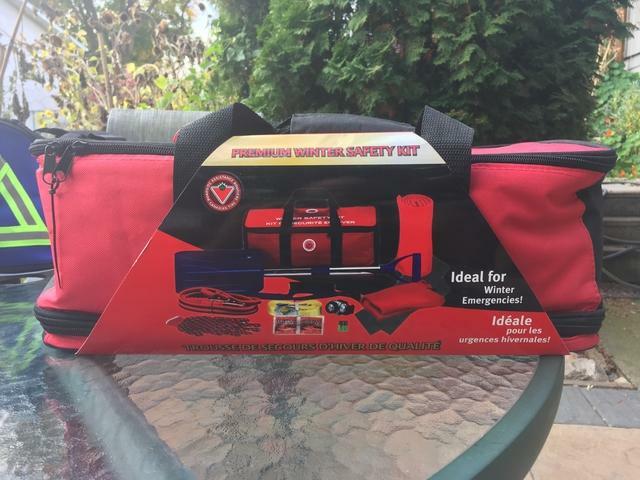 The next kit we have is the Canadian Tire kit and the one difference between this Canadian Tire kit and the kit - the Treksafe kit, is that this kit comes with a one-year Canadian Tire roadside assistance. You have to fill out the paperwork inside, but offers 24-7 roadside assistance: two service calls, including towing to the nearest Canadian Tire, which is 50 kilometers-- approximately thirty-two miles--delivery of gas, lockout service, tire change, and battery boost. And see inside for details. Inside the kit here, it says on the paperwork that it has a carrying case, two traction mats. snow brush, ice scraper. fleece blanket, knit gloves with super grip, fleece hat and scarf, two hand warmers, 8-foot-10-gauge booster cables, and a 14-foot-4500 pound capacity tow strap, telescopic shovel, LED headlamp and three triple AAA batteries. So this is the contents of what's inside. So the first thing in the case here, if we look in the bottom we can see that we have our traction mats here. And these are the same traction mats that they have in the Treksafe case. Now my only concern about these would be they're a little bit small. But once you've got them under the tires, you might be able to rock the vehicle enough to get it out. So that would be the only concern about the traction mats. But I mean they're there and it's certainly something else to get you going in the event of being stuck in the ditch and whatnot. 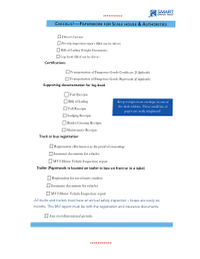 So we open the case and inside the case we have the paperwork that you have to fill out for the Canadian Tire roadside assistance emergency plan. And as well ,there's fifty percent off the upgrade to Canadian Tire roadside assistance gold plan. So you get fifty percent off that, if you purchase the kit as well. Hand warmers - you know in terms of longevity in the case you probably have to replace these after a year because they probably will be worn out. We also have the tow strap, which is essentially the same tow strap, it looks like as the one in the Treksafe case. And I'm not going to undo that because we did that with the Treksafe case. Part of the shovel, fleece scarf and hat here. We'll have a look at that... oh it's kind of...it's not a fleece scarf and a hat! It's a... like a balaclava to tuck into your thing [PUTTING ON THE GARMENT & POSING] It's very stylish. So we have that. We have the fleece blanket, which I'm not going to take out because it's just a nice blanket. A brush - probably not one for everyday use, but in the event of an emergency will work. Ice scraper - just a small plastic ice scraper - I don't know how durable it would be? I wouldn't want to be trying to pry ice and those types of things. Gloves...the gloves are not really for warmth - they're more for shoveling snow and trying to get your vehicle out. They do have super grip and they do fit large hands. But again they're pretty stretchy on me, so they wouldn't provide much warmth - I need to wear mittens and those types of things in the wintertime. We have that. We have the shovel, which has a telescopic feature on it and the handle goes into here, which works well and it snaps into here. As you can see, it goes together fairly quickly and it is fairly sturdy. It is plastic - the one in the Treksafe case was aluminum. So that's the only difference, but I don't think that makes a whole lot of difference... a little bit of weight perhaps, but for the most part not a huge difference. And it comes apart fairly easily. We have a light... open--close... you can adjust it. It fits on my big head. The only problem with those again, you'd have to change the batteries every year when you're changing the hand warmers as well. And then booster cables and again the booster cables are eight feet and these are fairly good booster cables and these would work fairly well for you. So we'll just see how fast we can get everything back into the kit. I don't think this one's going to be as bad as the Treksafe. Everything just kind of dumped back into the kit here. And as you can see everything goes back into the kit fairly quickly. It's not really much fiddling around with it. And the kit is not distended or bulky. So the kit is a nice size and you can use the contents of the case-- whatever you need to use--and it will fit back into the case fairly easily. To that's the Canadian Tire kit. Good value for money, I believe, in terms of buying - about fifty-five, sixty dollars. I'll put the exact price of the safety kits--the winter safety kits--down in the description... in the description box there, for you. The next kit we have is the triple-AAA, winter safety kit. It claims it has 66 pieces in it. This is the Automobile Association's kit and again I picked this up off Amazon. This one claims that it has a carrying bag, the membership brochure, accident forms and guidelines, LED flashlight and batteries. Again gloves, scarf and cap - folding shovel, ice scraper, safety strobe with clip magnet on the back, emergency whistle with lanyard, up to six hours emergency candles, emergency survival blanket, quick spark fire starter, hand warmer packets, and first aid supplies. So this is a fairly comprehensive kit. It's a nice small compact case with the American Automobile Association's logo on it. The zippers work well. A small ice scraper and this is a fairly flimsy ice scraper. I wouldn't use this on a regular basis at all. OK - all of the paperwork for filling out triple A's - join the club and then they have the packet here with hat gloves and scarf - perfect for cold days. It is a three piece set. OK And I'm pretty sure that is not going to go back into that plastic, although I'm not sure how you get it out there... there we go! Alright, so there we go - gloves. OK, the gloves go on -they kind of fit large hands, although not really. So the gloves kind of go on. There's a cap here and the cap fits my big head and there's a scarf. So there's all of that in an emergency. And again, I think we can get it back into the case here - in the plastic wrap. I think this one would take a lot longer to get back together if you were to use any of the stuff in an emergency situation. So all that stuff back in there. There's that...the lifeline travel safe. Not sure what's in here - this would be your shovel. This is a very sturdy little shovel. [FIGURING OUT HOW TO PUT THE SHOVEL TOGETHER] OK -this shovel is sturdy. There is absolutely no doubt about it. This shovel would do what you need to do, but it's not very big. But it will work for chipping ice and those types of things. And it folds up very compact and goes together very easily. So the shovel is sturdy - it's made of steel...a little bit heavier, but it's a bit smaller. So it does work and it is there. OK, what do we have in here - first aid kit with some basic Band-Aids, a bit of tape, some clean antiseptic. We have a flashlight, basic LED flashlight. We have modem candles here. We have a strobe light and we have a whistle with a lanyard. And I'm not sure what that piece is - we'll have to look that up. Hand warmers, batteries... Again and inexpensive batteries that are not very expensive. What else do we have? Emergency survival blanket - so this is basically one of those inexpensive cheap reflective blankets that you know, might work in a pinch, but they're not going to really keep you warm like the other fleece ones. So this this is a very rudimentary safety kit [READING FROM THE PACKAGE] essentials of a first-aid kit: OK, tape, some bandages... I mean this might get you through in a pinch, but it's really not a very great first aid kit. If you wanted a first-aid kit, you'd probably want to start your vehicle with something else. OK, there is a reflective light there, but unfortunately that reflective light's not... it's not going to work very well. Batteries for the flashlight, the shovel - you can get all this stuff back in there. So again, everything goes back into the kit. This is not a kit that I would recommend. And last, but not least - the last kit I have is the Michelin winter safety kit. And this is from Walmart. And again, you can find the link down in the description box there. Now I pulled off the wrapping around it. On the inside of the wrapping it has the SOS - so I guess you could tape that or fix that up in your windshield somewhere. If you did, in fact, get into trouble while you were driving. In this kit on the outside, it says that it has winter kit bag, the eight-foot 10-gauge jumper cables--so these are 10 gauge as opposed to 14--so they're not quite as heavy as the ones in the Canadian Tire kit--telescopic snow shovel, car blankets, flashlights, two double-A batteries, ice scraper, hand warmers, knit gloves, the SOS sign which I just showed you, and the packaging which youdon't dispose of and 24-hour roadside assistance. So this roadside assistance was...let's see what it says here... 24-hour emergency roadside assistance, complimentary membership, one-year roadside assistance program - no membership fees: good for three service calls. 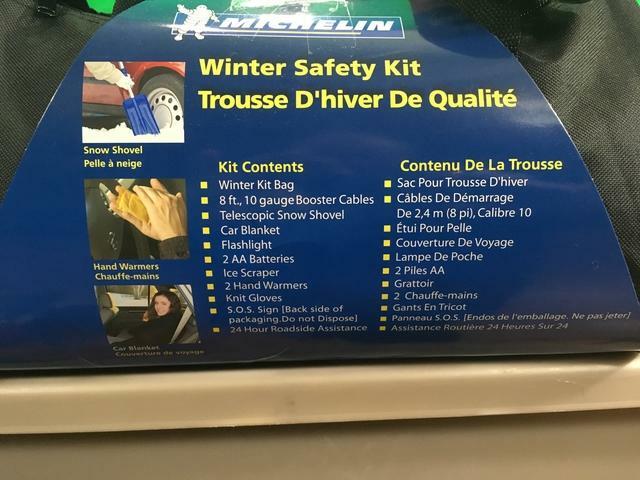 So with the Michelin winter safety kit, you get three service calls in your emergency roadside. So this is looking fairly promising in terms of the Michelin winter safety kit. Nice case - I like this. The handle has the velcro, as all the other cases do as wel...or the three other cases, rather; not the triple AAA case. And the zippers have a nice safety on here, so they don't come open. And on both ends of the bags it has this reflective triangle, which potentially you can put out at night to have other traffic see your vehicle. So two double zippers on the top to give you a wider opening. Alright, so we have the plastic tags cutoff - open up the kit here. Nice opening - now again the gloves. These are not grip gloves. All of the gloves in the other kits were grip gloves. And again these wouldn't last or keep you very warm. They just protect your hands for when you're out working around. They do fit large hands, but again they'd be fairly stretchy and they'd probably be fairly bulky on somebody who had smaller hands... and they're white. That's the other problem - they're not a contrasting color to the snow, so if you dropped them down in the snow, you might have a hard time finding them. So that's one of the downfalls of those gloves. Again hand warmers, and for the purposes of longevity, you know you have to replace those every year. The nice thing about the hand warmers - they are in a ziploc bag, so you can potentially seal the bag up. Here is all of the paperwork - it is a fairly inexpensive flashlight, but you know get you through in a pinch. The fleece blanket is in the kit and again it is a shovel comparable to the one in the Canadian Tire kit. So it's exactly - it's the exact same one as in the Canadian Tire kit and it does go together fairly quickly. The handle is here... and again. So it's the same shovel as what was in the Canadian Tire kit. A hand scraper. Tt has a foam grip on it. This one's a little heavier, so that's a nicer grip. Double-AA batteries for the flashlight. And these are all off-brand batteries. None of these, in any of these kits, are good battery. So you'd probably have to invest in some Duracell or Eveready batteries for your kits. And then finally, the battery cables which are the same as they are in the other kits. These aren't as heavy as the ones in the Canadian Tire box, so again these might get you through in a pinch, but that's about it. Right So again, they're 8-feet and that's basically it in the kit. So the booster cables in the bottom, paraphernalia and gloves. There's no - did they say that there was a hat? And just [READING THE PACKAGING] There's just a car blanket - there's no hat or scarves in this kit as in some of the other ones. Flashlight - so there's a lot - there's obviously a lot of stuff in this one, but this kit was not as expensive. This kit I believe is only thirty dollars. You can find the exact price down into this in the description box there. I'll put it down there for you and of course the price that I paid for all this is in Canadian dollars. So if you're in the U.S. it may be a little less expensive because you're in the U.S. and you're paying in U.S. dollars. Now the only thing - I got everything back into the kit fairly quickly. [TAKING THE SHOVEL APART] OK, that goes like that. OK, that comes off - it's a bit sticky, but I mean it's new, so it's not a big deal. so that all goes back into the bag. Does it go into the bag? Yes it does - that goes into the bag. We'll put it this way - put in like that. So it goes back in fairly simply. My only concern would be this--the SOS sign--you could tape it up, but it has to go back on here. If you did want to use that sign. So you can put that on there and have a bit of tape on here as they've got here, obviously. And then take that out. You know it does work fairly well, but it's not ideal. But anyway - that's the Michelin winter safety kit. Yeah, it's a little lighter in terms of the stuff that's in the kit - there's no first aid kit is there as in the triple-AAA kit and there isn't a hat and scarf. There's a few things, but I mean for the most part, it would get you through in a pinch to keep you warm for a little while. All of these kits would need some sort of supplement - you know, non-perishable food items, medications candles. The only one that had candles in it was the triple-AAA kit. I recommend candles as opposed to flashlights because the batteries go dead and as well, flashlights don't provide any warmth. Where as candles--believe it or not--will provide a bit of warmth when it's sub-zero temperatures and you're waiting in your car. You can get candles and they will actually give you some warmth. So this one here - not as much stuff in it, but again it's not as expensive as the other kits. So in conclusion, we reviewed the four winter safety kits here and the winter safety kits the star rating that I would give them in top to bottom: the Treksafe, I'd probably give it a 4 in conjunction with the Canadian Tire one - I would give that a 4 as well. The difference between these two kits, they're essentially the same content, but the Canadian Tire kit has roadside assistance for one year. But obviously that's only available for Canadians. 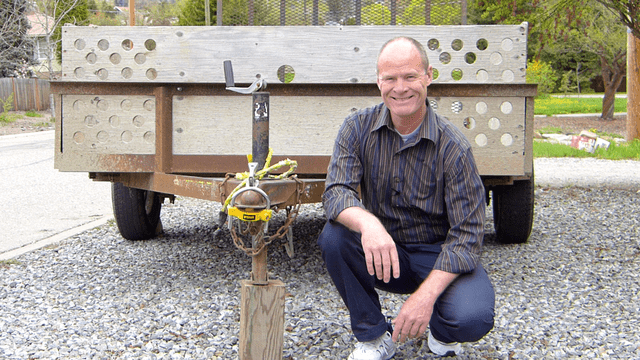 The Treksafe one here doesn't have roadside assistance, but it is a sturdy kit and this is the only one that has an aluminum shovel. So both those kits would get a 4. The Michelin one would get a 3, and unfortunately the triple-AAA would get a two-star rating. However this one [POINTING TO THE AAA KIT] probably does have the sturdiest shovel of all of them, although it's a little bit smaller. It is definitely a military-grade shovel. So if you want to purchase any one of these kits, check out the links below down - in the discussion box you can find the links to purchasing these kits. All these kits can be purchased for the around fifty dollar mark. The Michelin one is actually the least expensive at about thirty dollars. And again, you can find that at Walmart. Conversely, head over to my website & sign up for my email to get your winter driving survival checklist, and you can be entered in a contest to win one of these kits. That draw will be held on the 30 November 2016. And you could potentially win one of these four kits. I will be offering all of these for winter safety kits as part of the contest. 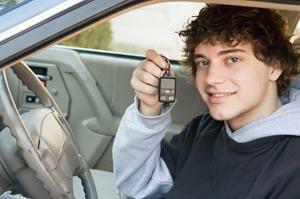 And you simply have to sign up for the email on my website: www.smartdrivetest.com. Again you can find a link down below and all the contest rules there for entering into the contest and being eligible to win one of these 4 kits. I'm Rick with Smart Drive Test. Thanks very much for watching. If you like what you see here share, subscribe, leave a comment down in the comment section - all of that helps us out. As well, hit that thumbs up button. Check out the videos below for more winter survival tips. 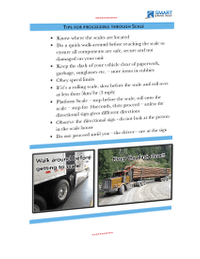 Lots of great information down there for you to drive safely for the wintertime and not end up in the ditch. 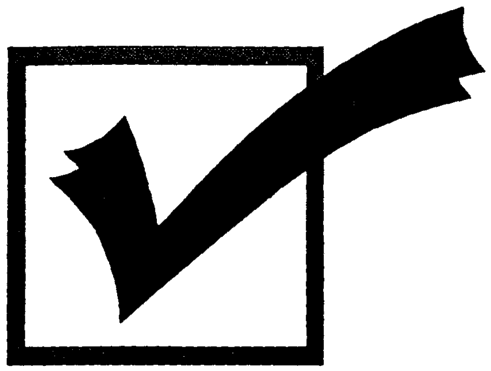 As well, if you're embarking on a road test, lots of great information here on the channel for you to be successful in that endeavour of getting your driver's license. As well, check out the cards in the upper right-hand corner if you're on a mobile device - those too will give you links to all of the great videos. Thanks again for watching. Good luck on your road test. Remember, pick the best answer not necessarily the right answer. Have a great day. Bye now.